Expect more flooding in 30 states | Minister advises high flood risk areas – Royal Times of Nigeria. The Minister of Water Resources, Suleiman Adamu Wednesday, said 30 states and over 100 local government areas categorised as high flood risk areas should expect more flooding, TheCable reports. He said the delay in commencement of the rains, the monsoon wind, and the rising sea levels are factors that will further increase floods in states like Lagos, Rivers and Cross River, among others. 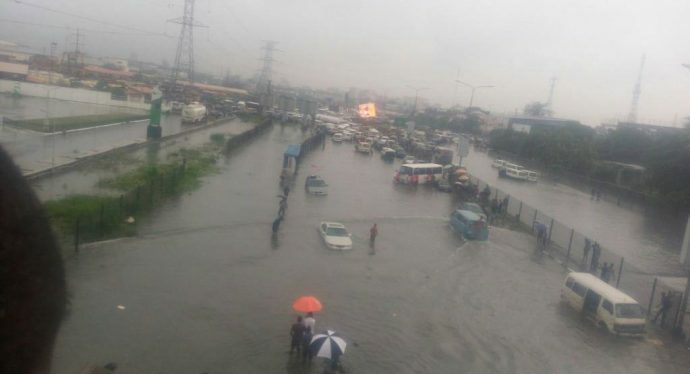 The minister said: “In the coastal areas, including Lagos, Port Harcourt and Calabar, possible coastal flooding in these places were mentioned in the NIHSA’s flood outlook. However, the case of Lagos State is unique, because it is very low-lying and there is reclamation of wetlands, which ordinarily should be buffers for floods,”. “It is also important to mention that the monsoon wind (a strong prevailing wind that brings rain), which usually arrives the West African coast around June 22 to September/October, brings in a lot of rain to the land, coupled with the sea rise due to the melting of the glacier in the polar region. “People must not use this facility as refuse bins, which will block and render the facility useless with the probability of flooding heightened when it rains,” . “It is therefore suggested that state and local governments should do more to enforce environmental laws/town planning guidelines so as to check such uncontrolled physical development activities,”.